Freud was severely emasculated in both his individual ego and in his group ego. He was in fact a practicing homosexual. His relationship with his friend Fliess was homosexual in nature which Freud confessed vowing never to do it again. His group, the Jews, were and are a severely emasculated people. They have been since they walked away from Ur. But, on with Freud. Freud was fond of telling the story of his father and his hat. It seems that Mr. Freud related a story to Sigmund, or Sigismund as he was known then, (his Hebrew name significantly was Solomon) of how when he was a young man walking down the street proudly wearing his new hat, a gentile knocked the hat from his head into the gutter, snarling, "Go get your hat, Jew." When Sigmund asked breathlessly what his father did, expecting an heroic response, the old gentleman laconically replied: "I stepped into the gutter and picked up my hat," severely disappointing the young boy. Since Freud told and retold this story we may be forgiven for believing it had a profound effect on his young conscious and subconscious minds and possibly his "unconscious" too. On the one hand he may have been so ashamed of his father's reaction that he shared his emasculation encapsulating it in his subconscious as a fixation. It is possible that this story either made or contributed to his homosexuality. On the other hand we know for a fact that it inflamed his group ego with an ardent desire for revenge against the gentiles. As a result of the story he made the Carthaginian, Hannibal, his alter ego. 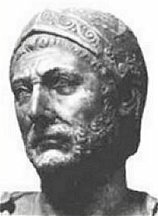 When Hannibal's father was defeated by the Romans he had his son swear that he would never cease waging war on the Romans until he died. Obviously Freud made his vow although his father didn't demand it. It is no coincidence that both Freud and Hannibal were Semites and that the Romans and Europeans were gentiles. Nor is it a coincidence that both Hannibal and Freud were defeated after seemingly winning the war and that rather than fighting the enemy to the end both fled. Now, it therefore follows that Freud never ceased waging war against the Europeans. You say, How? Come along. I can't take you into the Inner Sanctum, which way you have to find on your own, but I can show you some of the records I have been allowed to abstract from the files. This will involve the secret history of the human race but don't be alarmed. If you don't want to believe it don't. It still is a rousing good story. Besides, if you should ever come around the archives you will find it's true. Freud himself made an attempt to explain a little of the origins of the Jewish psyche in Inhibitions, Symptoms and Anxiety and Moses and Monotheism. The earlier millennia don't concern us here. The Jews throughout history in their egotism have felt much put upon. This sense of grievance grew until with the expulsion from Spain after the Reconquest their sense of injustice burst into open flames. The group swore revenge on Europe. It must be remembered that at the end of the thirteenth century they were expelled from England, at the beginning of the fourteenth from France and for the duration, well, they were really welcome nowhere. They swore to stultify Europe. Judaism is the history of messianism. 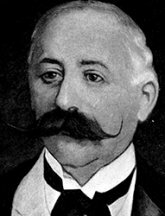 Sabbatai Zevi. This man was the last great messianic impostor. In 1666, the number of the beast plus a thousand, the Jews of Europe awaited the word from Sabbatai then at the Ottoman Court to begin the slaughter. But Zevi apostatized to Moslemism instead. The uprising never came off. Hung fire. Fizzled. Hope beats eternal. The learned Rabbis vowed to never place their hopes on a single individual again. They now concocted a plan for the group to rise as one man in rebellion. The date selected for the revolution was the period 1913-1928. You want to give yourself a little leeway there. Born in 1856, in 1913 Sigmund Freud was fifty-seven years old. 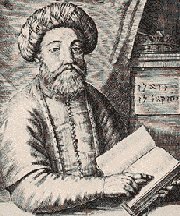 Although none of his biographers say much about his Jewish background it is quite clear that he was read in Jewish lore. You may say that he wasn't religious but he nevertheless was devoutly Jewish. Freud quite consciously hated the gentiles for personal reasons which meshed quite well into those of his group identity. During 1913-17 Freud's reputation was immense both within and without the Jewish community. It was true his heir apparent C.J. Jung had broken with him perhaps for this very reason but he and psychoanalysis suffered no damage. In psychoanalysis Freud had the means to instruct his group and control the gentiles. It is said he gave up hypnotism when he turned to psychoanalysis but as a perusal of "Group Psychology" shows he was preparing a breathtaking attempt at hypnotizing the entire Western world not unlike that of Burroughs' Lotharians against their invaders. 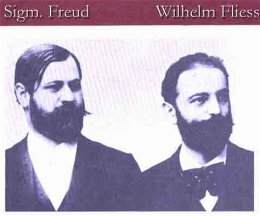 Freud lived in Vienna where for years, even decades by 1913, emigrating Jews had flowed through on their way to America via the north German ports. The prosperity of whole German shipping lines was built on steerage passengers. Nor were the decisions to emigrate necessarily individual; it may have begun that way but to emigrate was soon organized and directed by the international Jewish community. Check the career of Baron Maurice Hirsch. The Jewish establishments of both Europe and America provided funding. At about this time provisions were made to transport the entire Jewish population of the Pale, from Lithuania to Romania, to the United States of America. 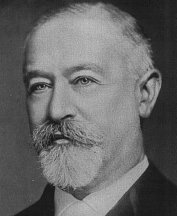 At the time the international Jewish government, led by Jacob Schiff and Louis Marshall, was located in the United States. The decks were being cleared so as to remove resistance in America. So as not to call too much attention to the fact by having the hordes disembark entirely in New York and Boston, for there would be resistance however feeble, the ports of New Orleans and Galveston were organized to deal with millions of immigrants. This plan was cut short by the Great War. The Jews had already been at war with Russia, or the Czar as they personalized it, for a hundred years. The international Jewish community had engineered the Russo-Japanese war almost pulling off a revolution in its wake in 1905. Activities were now intensified. At the time and for about the next sixty years the Jews threw a veil of obfuscation over their activities always denying involvement in Communist or Revolutionary matters. In recent years Jewish scholars, for whatever reason, have now found it expedient to admit that which they were accused of but always denied. They now admit that every national subversive Communist party was over fifty per cent Jewish. Those of Russia and Germany were considerably higher. Freud had been involved in Jewish subversive organizations like the B'nai B'rith for many years. As the master psychologist, an expert in the unconscious, he prepared the Jewish mind for the great task of the millennial years in Central and Eastern Europe, which would require much bloodshed, while formulating his psychological plan of conquest not dissimilar from the military plans of his hero, Hannibal. Freud himself was centered in Vienna. A lieutenant, Abraham, was his man in Berlin while Ferenczi was posted to Budapest in Hungary. The three crucial central European points were covered. Jung in Zurich had split off shortly before this. It is interesting that the Jewish psychoanalytic establishment spitefully denounced him as a Nazi. The Jewish millennial years began in 1913. The Great War began in 1914. The Bolshevik Revolution occurred in 1917. Introductory Lectures On Psychoanalysis appeared in 1917 even though there must have been an extreme paper shortage; it is not a short book. Freud encoded last minute instructions to the Revolutionists in the book. At this point in 1917 Freud released the inhibitions of millions of Mr. Hydes in Russia, Hungary and Germany. The Bolsheviks took Russia out of the war signing a seemingly humiliating peace treaty at Brest-Litovsk. As Lenin said the peace treaty was meaningless because it was his intent to stab Germany in the back. Germany had a huge Communist party which it is now admitted was around sixty per cent Jewish. Now with the United States in the war, Germany debilitated internally and crippled psychologically, thousands of Jewish revolutionaries intent on the realization of the millennium flowed back into Germany from Russia in hopes of achieving the Revolution there, giddy with the hopes of thereby annexing Central and Eastern Europe. That they didn't was because of the efforts of German Volkish groups such as Hitler and his Nazi Party. The unconscious psychoses of the Jewish people who it will be remembered as a group were suffering from severe emasculation were erupting. Emasculation of the Ego is always expressed in a sexual manner. Freud had been preaching the practice of unrestrained sexuality for years. Murder is a sexual act. He was against "repression" you will remember. When Russia began its program of expansion under the Romanovs it annexed an enormous number of nationalities. The Russians then tried to impose their language and manners on the conquered peoples in an attempt to form an homogeneous State. In so doing they emasculated the subject peoples. Those same subject peoples were now the masters of the Russians with permission to indulge their unconscious. Jews. Letts, Poles and others let loose. Stalin himself was a Georgian. As Genet correctly saw of the Nazi State, in Russia a criminal intellect was now joined to the political and legal apparatus of the State. The criminal code was changed from an objective one to a subjective one; one of vengeance. For a period of years law was suspended in Russia. Amidst the chaos International Jewish organizations operated openly in Russia to coordinate their hopes for the millennium. What I'm about to say has been denied and suppressed but the example was before both Hitler and Stalin. In Hungary where Freud had his man Ferenczi to coordinate the Hungarian Jews, Bela Kun seized the government beginning a reign of terror against the gentiles during which thousands of non-Jews were murdered in a horrific sadistic manner commensurate with an emasculated Ego. For some time the Jews had been clamoring for a State of their own. Taking advantage of the chaos in Russia the Jewish American Joint Distribution Committee under the leadership of Schiff and Marshall decided to appropriate the Crimea. Bela Klun who had escaped Hungary during the inevitable reaction going to Moscow was sent down to the Crimea to exterminate the population to make room for the Jews. He was in the process when Lenin died. Stalin then recalled him to Moscow where he was shot. All these activities were obscured and suppressed. It is forbidden, at least in American universities, to study the subject to this day. Still, Europe was so horrified that they declined to discuss it or even acknowledge it. But Hitler and Stalin remembered. The Communists in Moscow being composed solely of emasculated peoples functioning from the unconscious like so many Hydes conducted a criminal homosexual style State that would have delighted Genet had he been there. The author of the Thief's Journal would have gasped at the warehouses full of stolen furs, diamonds and other jewels, art objects and whatever of value that the poor emasculated wretches had stolen form their murdered victims. It was the triumph of the Common Man. As soon as Stalin gained power he began to discredit and remove Jews from influential positions. Trotsky was sent to a malarial swamp in Siberia to die but from which he escaped to be killed by Stalin's assassins later. As Stalin consolidated his power he acted more directly until he held the famous show trials of 1936. He then began the systematic elimination of Jews which resulted by the end of 1945 in the death of millions. Thus Hitler, an emasculated man leading an emasculated people had the Judeo-Communist example before him. As an avid anti-Communist and open anti-Semite he was virtually isolated by the world which by 1936 was under the control of Judeo-Communists. He was the antagonist, not the protagonist. While Stalin with religious training was clever enough to seemingly work through the system openly following legal controlled methods although the law had been subordinated to his ends. Hitler acted as a homosexual with an ax in his hand. Stalin's officers dispatched prisoners with a bullet in the back of the head, which method, by the way, was favored by Jewish and Italian organized crime in America of the time, while the Nazis brutally beat beat prisoners, finally shooting them in the back while escaping. Stalin, Hitler, Freud, which was worse? Freud enabled, Stalin and Hitler executed. They were all the same. In Russia during the first year or so of Lenin some Russian workers were being read to as they worked. Were they being read the works of Marx or Lenin? No. They were being read the Tarzan novels of Edgar Rice Burroughs. This infuriated the politburo. The State was trying to impose a collectivist unconscious psychology on the Russians while Burroughs and his great psychological projection were individualist and responsible. In fact, Burroughs offered a concept of the unconscious which was directly opposed to that of Freud. One might say that Burroughs was Dr. Jekyll to Freud's Mr. Hyde. Burroughs himself had been severely emasculated at the age of nine. The situation seems to be this: Burroughs came from a prosperous Chicago family. His parents were very proud of their English ancestry. If you're unwilling to understand racial and national prejudices which were very pronounced at the time then you probably won't be able to understand. There were strong feelings between the Anglo-Saxon and the Celt or English and Irish. The Anglos considered the Celts if not inferior at least eccentric. The Burroughses employed two Irish girls as servants. In all probability Young Burroughs assumed an attitude of superiority which the girls resented. They then concocted a plan to cut young Burroughs down to size. They had a friend or relative by the name of John who was aged twelve to Burroughs' nine. Being much larger and tougher than Burroughs he stopped the younger boy on the way to school one day where he thoroughly intimidated and terrified him. It is quite possible that Burroughs messed his pants. In any event, he suffered severe emasculation which was to haunt him all his life. He does not seem to have ever practiced homosexuality. The incident with John the Bully not only played havoc with Burroughs personal psychology in the narrow sense of creating a psychosis but there was also an effect in what Freud's erstwhile associate, C.J. Jung, called the collective unconscious. The individual is limited by his very humanity to a small number of general responses. Thus Burroughs was given a cast of mind which the Hindus denoted as Shivaistic. This is a general outlook or philosophy of life, if you wish, which one adopts unconsciously as the consequence of one's experience. I share it although it took me nearly a lifetime to recognize and accept it. Burroughs himself was aware of the fact at least by 1931 when he wrote Tarzan and the Leopard Men. In one key or on one level the story is one of Shiva and Kali his consort. Burroughs names his heroine Kali while she is selected to be the White Goddess of Leopard Men who play the part of Shiva. As can be seen by their complete disregard of life Freud, Hitler and Stalin were also Shivaites. Shiva and Kali are the Hindu representation of Life and Death. Shiva plays unconcernedly on the pipes while the carnage of life and death goes around him. The song goes on. Kali, his consort, the goddess of death and regeneration, dances on the bodies of the dead to Shiva's music while wearing a necklace of skulls. Death means nothing because she as the eternal mother has the means to multiply unendingly. Do multitudes die? So what. Not to worry. Life goes on. Burroughs also developed an interest in psychology in his attempt to free his mind of the fixation given him by John the Bully. As his psychological notions were well formed by 1911 when he began to write in his attempt to expiate his guilt it follows that he acquired his knowledge during his early married years from 1900 to 1911. He married at 24. He had little opportunity to do his reading before then as the major works were only appearing in the late '90s. His main concern was the subconscious mind. While his evolutionary ideas are easier to trace he has left no mention of his psychological reading. It seems certain that he was familiar with FWH Myers who, as noted, first defined the notion of the unconscious in 1886. He must have read James while Freud's notions would have been discussed if not translated; thus DH Lawrence had highly developed ideas on the Freudian unconscious in his 1911 Psychoanalysis and the Unconscious while I doubt he had read Freud in the German. Also it seems probable that Burroughs had read Le Bon. Burroughs' idea of the unconscious differed greatly from Freud's while being more soundly based in the actual functioning of the mind. While Burroughs' hero Tarzan seems to function with an integrated personality from his creation in 1911-12 Burroughs himself came very close to integrating his own from 1913 to 17 or may have although he always had trouble with his Animus and Anima. Even though Freud advertised the fact that he had taken a year off (golly, a whole year) for self-analysis, whatever the results may have been he never succeeded in integrating his personality or, apparently, realized he should. He was severely conflicted all his life. Just take a look at his photo where you can see that huge white welt running from his lower right cheek across his nose into his forehead. That was caused either by excessive cocaine use or mental conflict in the brain stem, probably both. As did all mythographers, Burroughs had read his Poe, like them he was concerned with the conscious and subconscious minds. While Stevenson's Jekyll lost his conscious mind in his subconscious mind, Burroughs concentrated on the concept of the beast within the man, the relationship between the conscious and the subconscious. In Chapter 3 of The Return of Tarzan, in what appears to be a plagiarization of the murder scene of Poe's Murders In The Rue Morgue, Burroughs has Tarzan act out the parts of both the Sailor and the Orang. Lured up to the apartment on the pretext of helping a young woman, Tarzan is set upon by her accomplices. Discarding the trappings of his recently acquired civilization Tarzan reverts to his anthropoid education of the jungle becoming Poe's Oran, yet always retaining the restraints of his humanity or the Sailor. When the police come he leaps out the window to a telephone pole, which one imagines were more common in Chicago than Paris. (Burroughs had never been to Paris so replicated the urban scene he knew.) While still in his ape guise he has the sense to look down where he sees a policeman below so he climbs up leaping to a rooftop. Racing across the rooftops he climbs down another pole. Then in a Hyde-like transformation back to Jekyll he shakes himself form his ape self back into his human self, without the aid of drugs, enters a restaurant to clean up in the rest room then saunters jauntily down the street as though nothing had happened. Thus the seeming plagiarization of not only Poe but Stevenson was merely an attempt to give a better solution by using the same mythological symbols. Return was written at the end of 1912 and the beginning of 1913. Burroughs' own self-analysis would continue through his astonishing output of 1911-1917 when he finally integrated his personality with the final volume of his Mucker Trilogy published as the Oakdale Affair but alternately titled Bridge and the Oskaloosa Kid which is the better title. At that time he had exorcised his major fixations which should have integrated his personality. In understanding that the disintegration of the personality was caused by an affront or affronts to the Ego or Animus which resulted in the creation of fixations which festered in the subconscious which in turn manufactured affects which evidenced themselves in various physical and psychological ways he realized that the same could be exorcised returning the Ego to a whole state. Unfortunately he strung his theory on through a couple dozen works of fiction disguised as incident. A very few would read all the novels while the only possible interpreters could be those who had read them all not only with a psychological background but an open, inquisitive mind. We're a very small minority. If I hadn't been through the same process on my own I probably never would have recognized it. However as his theories were embodied in his hero Tarzan as mythology they passed into the unconscious of his readers of which, as a teenager, I was one so, shall we say, my mind was prepared.